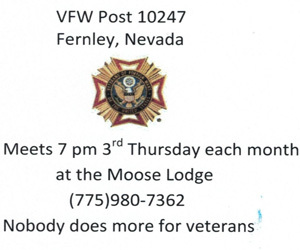 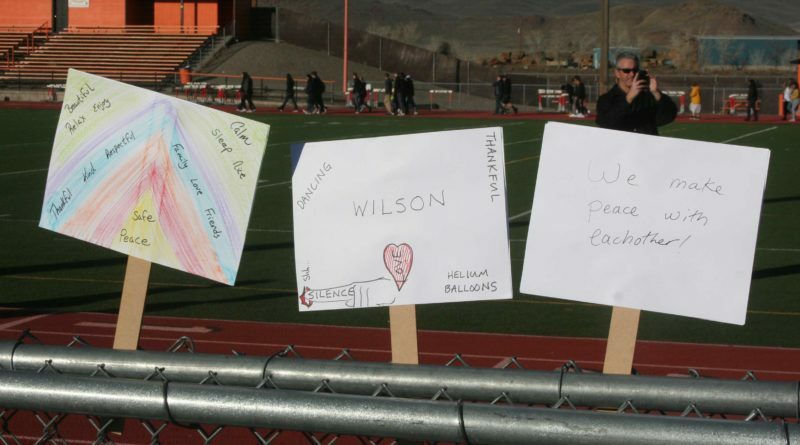 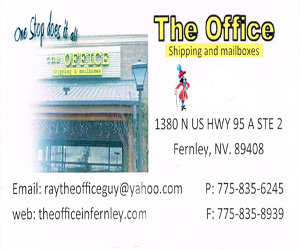 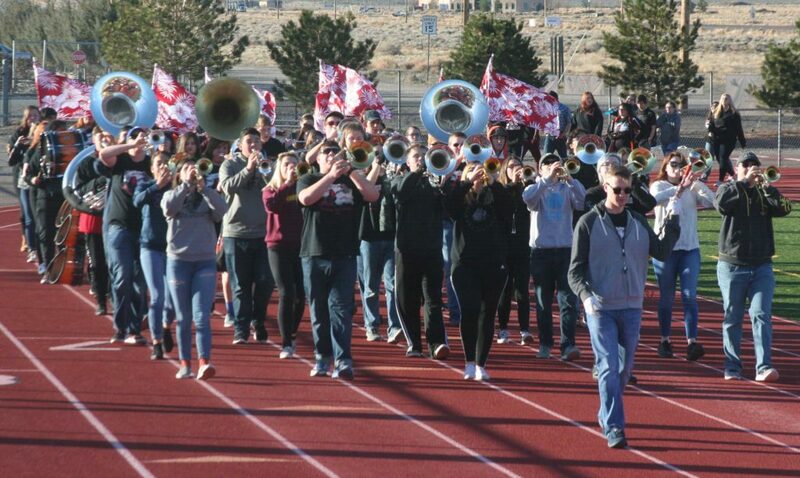 Fernley High School students and staff completed a two-week celebration of P.E.A.C.E Week with a P.E.A.C.E. 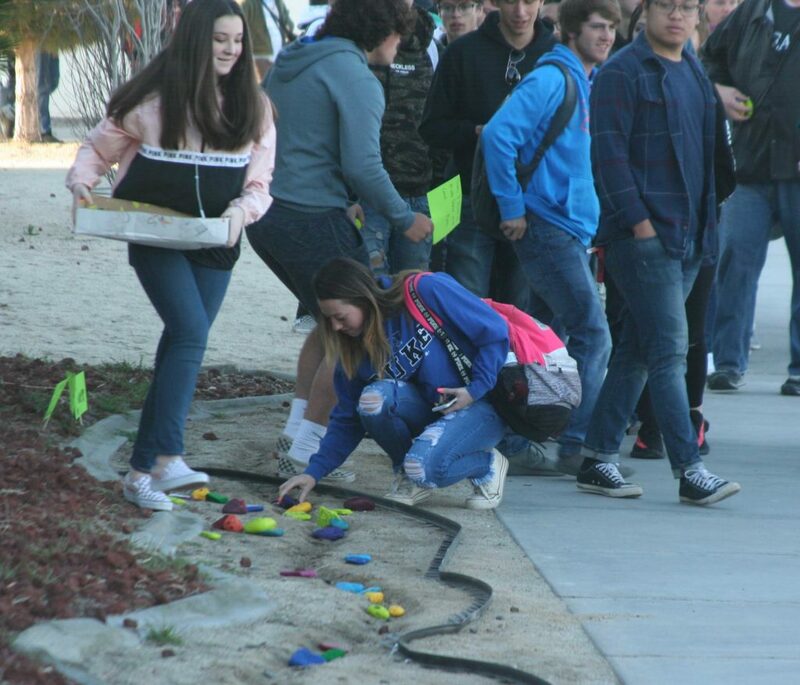 walk and the placing of painted rocks in a rock garden in front of the school. 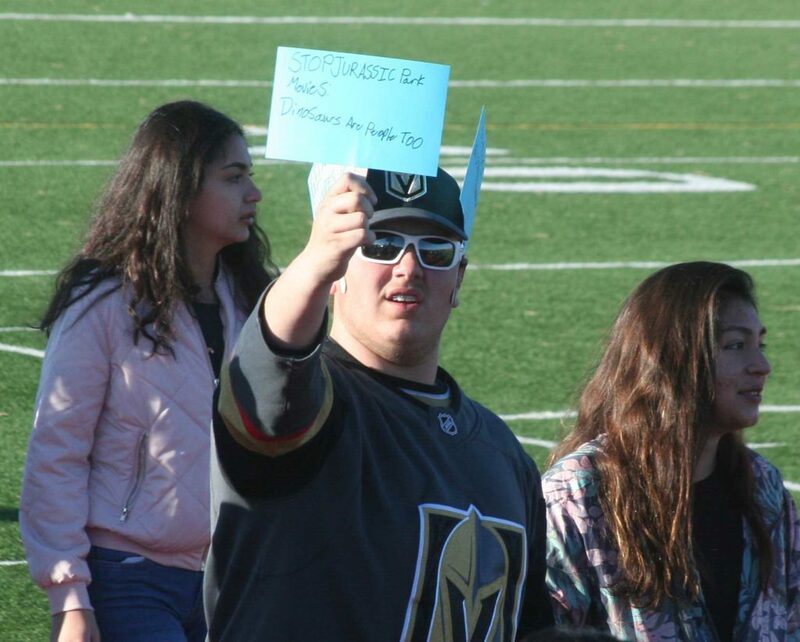 The celebration began March 15 and continued through the final day with a variety of student and staff dress up days, and daily lessons in advisory classes. 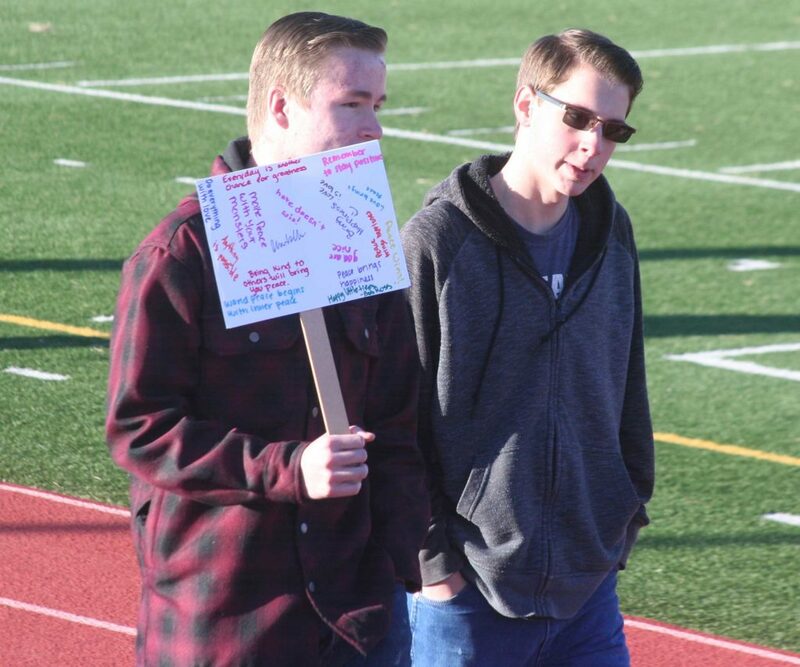 During the second week of the celebration, students were challenged through a social media campaign to apply what they learned and to make a difference in their own way. 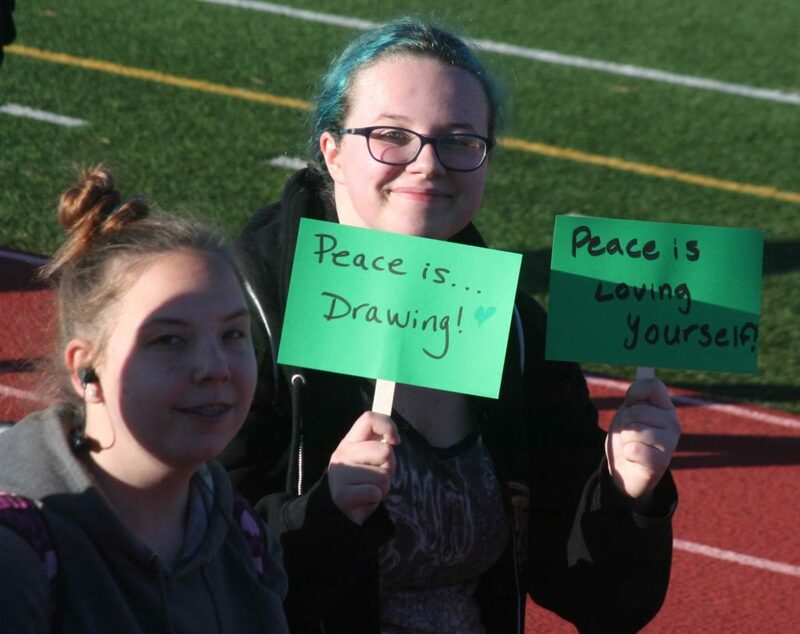 Along with their painted rocks, students also made signs to carry with the P.E.A.C.E. 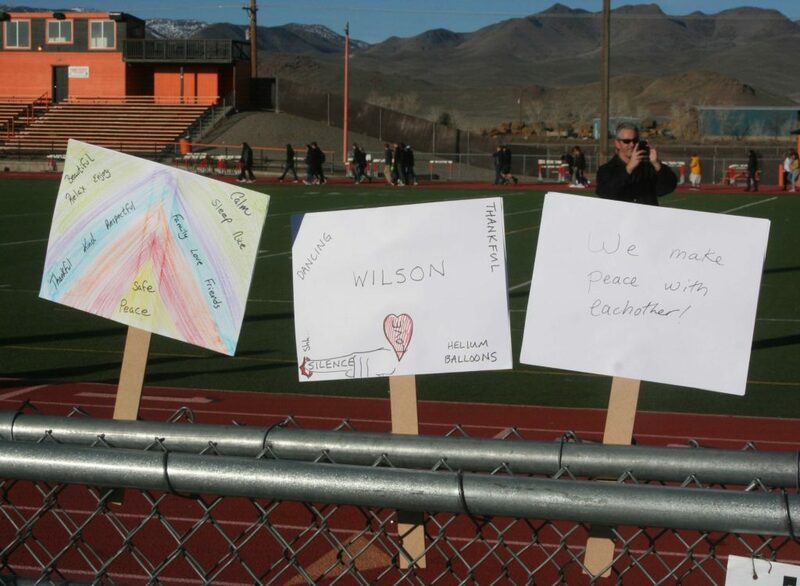 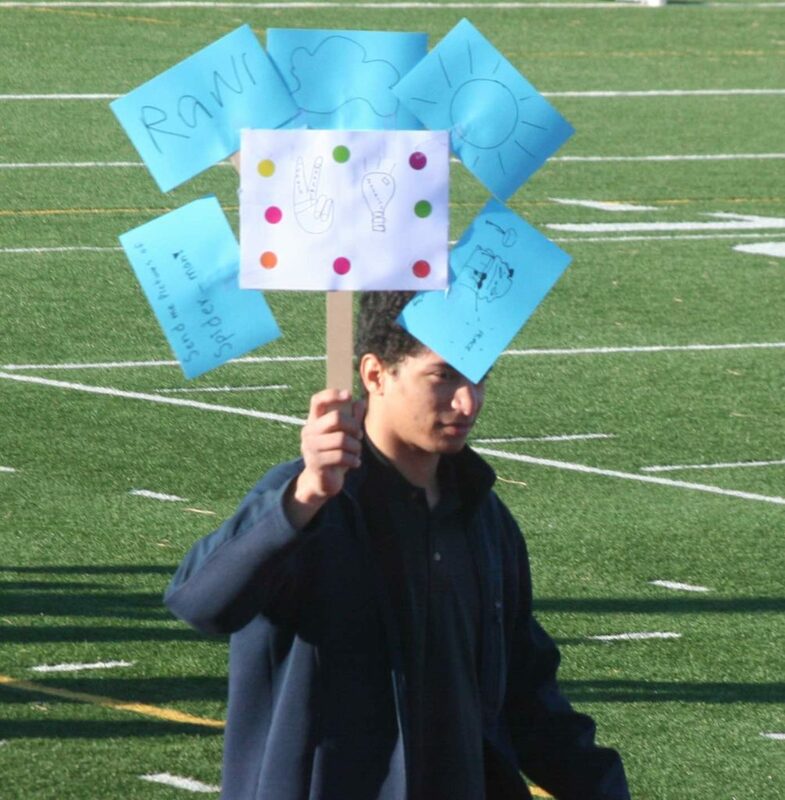 walk, starting on the sidewalk in front of the school and culminating with a lap around the track, where the signs were posted on the fence.